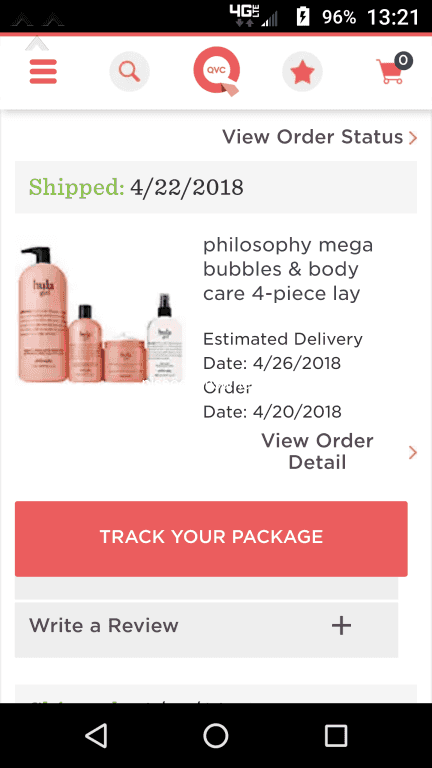 I was so excited to receive my Recent order of Philosophy, Hula Girl. However I received sweet cream. I called customer service and they acted like it was my fault! I screen shorted my order and it was obvious QVC oversold Hula Girl and replaced it with sweet cream and now Hula Girl is out of stock. Shameful!! Horrible customer service. Ordered sandals on 4/12 .. still haven't received them on 4/20. Was billed on 4/12. I used to receive orders in 3 days. I contacted them twice but no answer.